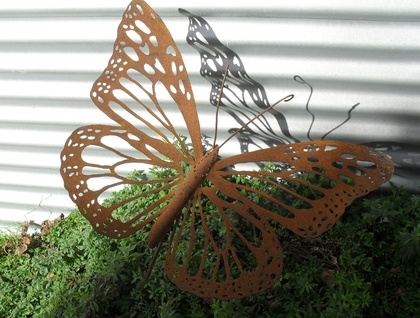 Kiwiana Garden Art MONARCH BUTTERFLY. 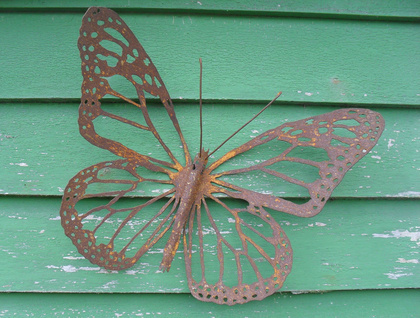 Designed and made in Canterbury from recycled steel. 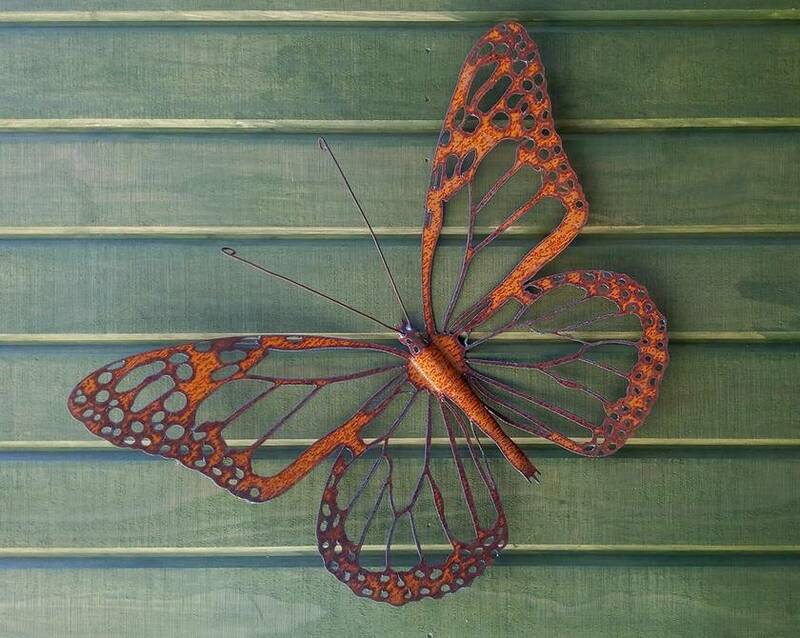 Available in Natural Rust - 480mm wingspan. 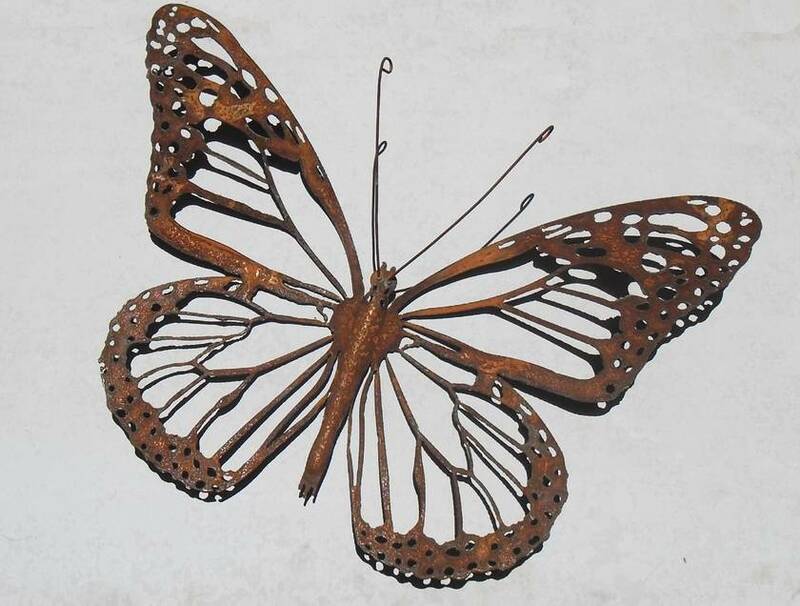 See my other listing for matching Caterpillar.